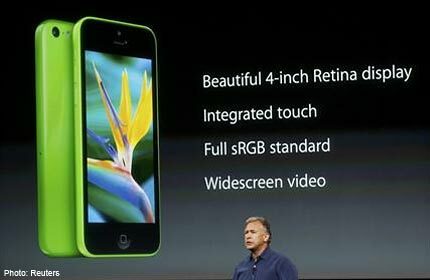 Phil Schiller, senior vice president of worldwide marketing for Apple, talks about the new iPhone 5C at Apple's media event in Cupertino, California on September 10, 2013. 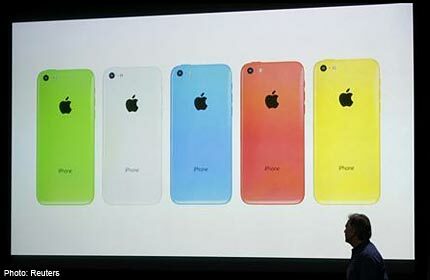 CUPERTINO, California - Apple Inc introduced two new iPhones on Tuesday, including an "iPhone 5C" that comes in five colors and starts at US$99 (S$126), priced to bring one of the industry's costliest smartphones within reach of the masses in poorer emerging markets. 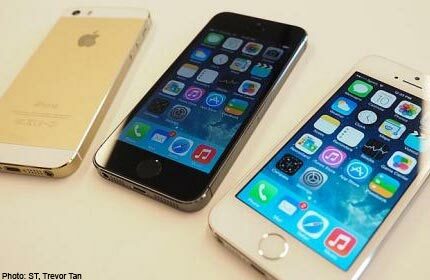 The pricier "5S" also comes in three colors - gray, silver and gold - and sports expected improvements in processor speed and iOS7 software features along with a fingerprint-scanner that can unlock the phone with just a touch. Shares of Apple, which had been in negative territory most of the morning, briefly went positive but were later down 2 per cent at just below US$500. The stock had gained more than 11 per cent over the past month, in a rally that typically happens ahead of a big product launch. 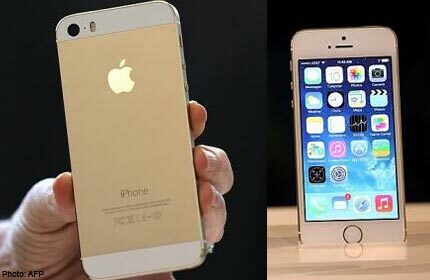 The cheaper phone goes on sale online on Friday, while the pricier gadget can be pre-ordered on September 20. 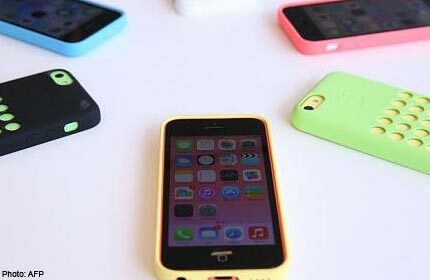 For the first time, it will go on sale in China at the same time as in the United States, a move expected to severely curtail the underground market for smuggled phones in the world's No. 2 economy. 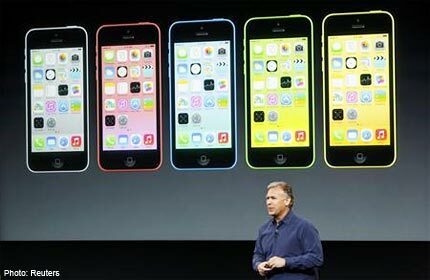 The broader colour palette and lower price for Apple's flagship product mark a departure from its reliance on a premium brand and familiar black and white gadgets. The world's most valuable tech company is trying to beat back rivals Samsung Electronics Co Ltd and Huawei Technologies Co Ltd in markets like India and China, where it is quickly losing ground. 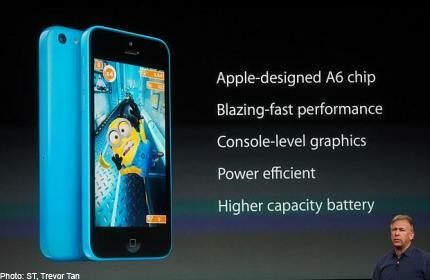 "As expected, iOS7 improvements are largely incremental. 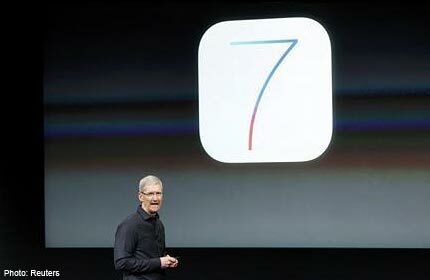 Nothing transformational, but iOS7 wasn't expected to be," DoubleLine portfolio manager Brendt Stallings told Reuters. 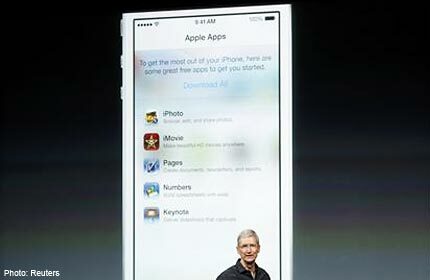 "We didn't expect iOS7 to be revolutionary and I don't think consensus did either. 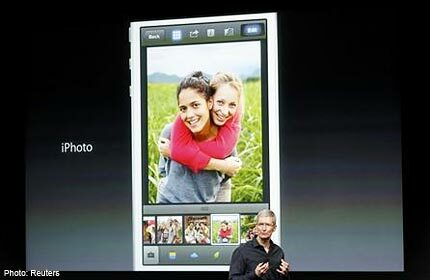 Look for 64 bit iPad in the near future," said Stallings, whose DoubleLine bought Apple around US$405. 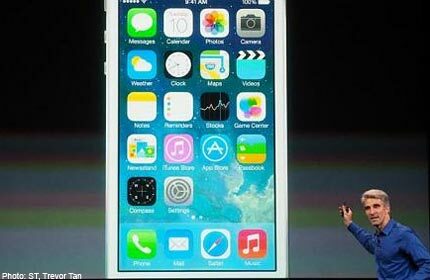 CEO Tim Cook told an expectant crowd at Apple's Cupertino headquarters he expects Apple to ship the 700 millionth device - an iPhone or iPad - based on iOS mobile software sometime next month. Wall Street approves of his move to offer a more basic version of the device, although some investors warned initially that it would reduce margins and potentially tarnish a brand that has been linked to premium users since its 2007 inception. Now they hope a bigger emerging-market presence can help reverse a 29 per cent fall in the company's share price since it hit a record high of US$702.10 a year ago. The selloff was fueled by fears of slowing growth and a perception that Apple's ability to innovate and shake up industries was dwindling. Also sparking Apple's upward momentum was hedge fund billionaire Carl Icahn's revelation last month that he had taken a large position and was pushing for the company to expand its programme of share buybacks. 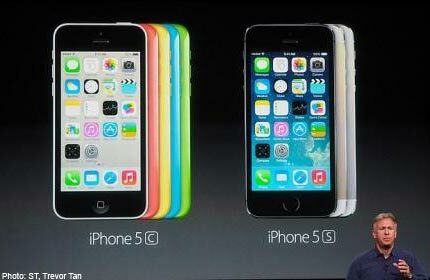 He has said the stock may rise to as much as US$700 if Chief Executive Officer Tim Cook pushed for a larger buyback. 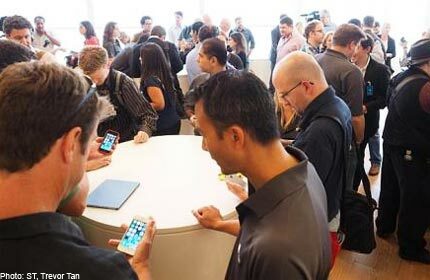 Industry observers said Apple had not turned out a category-defining electronic device since late co-founder Steve Jobs made a bet on the iPad in 2010. Speculation revolves around a smartwatch along the same lines as Samsung's recently introduced Galaxy Gear, or some sort of TV product. 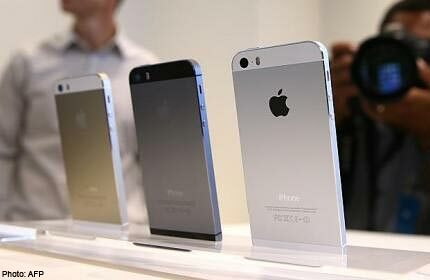 But analysts said neither was likely to generate numbers anywhere in the neighborhood of the iPhone, which supplies half of Apple's revenue and is the company's highest-margin product. 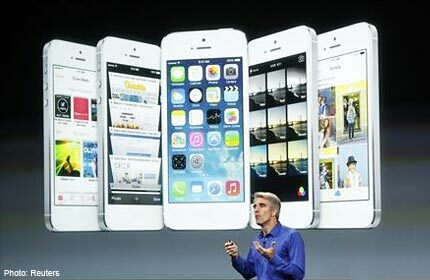 Since the first touch-screen iPhone hit the market in 2007, software features have become easier to replicate and improvements in speed, weight, display size and resolution have become routine. 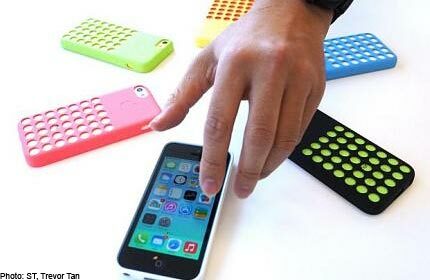 The explosion of me-too products is already hurting profit margins and nibbling at Apple and Samsung's market share. 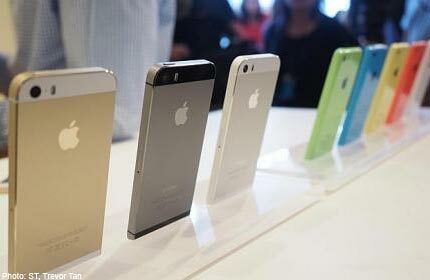 "Apple needs to demonstrate in the coming months that it has other product lines which can start to make up for slowing growth and falling margins in (the) iPhone and iPad," said Jan Dawson, a chief telecoms analyst for Ovum Research. "That's a tall order." 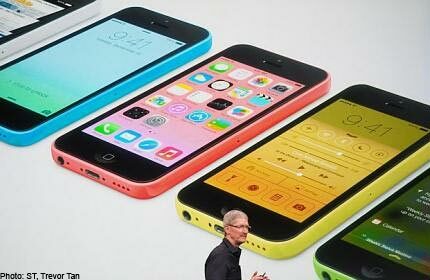 More immediately, Apple will get a boost if it succeeds in enlisting China Mobile Ltd in its iPhone network. For the first time, the company will host media in Beijing just nine hours after its Cupertino, California, launch, spurring speculation it will announce a distribution agreement with the Chinese carrier. The world's largest wireless carrier serves more than 740 million users and is perceived as more amenable to carrying the popular smartphone now that profit and subscriber growth are decelerating. Net income grew just 2 per cent in the quarter that ended in June. 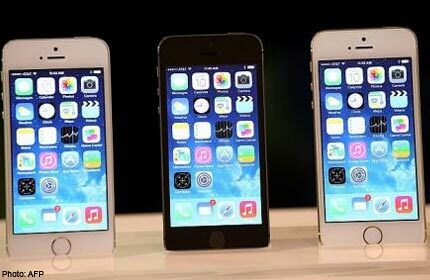 And smaller rivals China Unicom and China Telecom, which both already sell Apple's iPhone are making headway against the market leader. 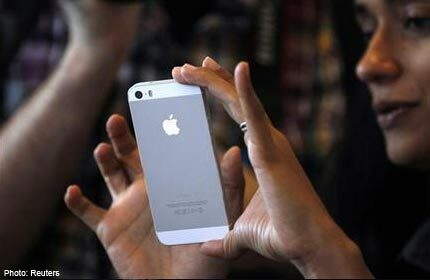 Separately, Japan's largest carrier, NTT DoCoMo, is expected to begin selling it as soon as this fall, other sources said. 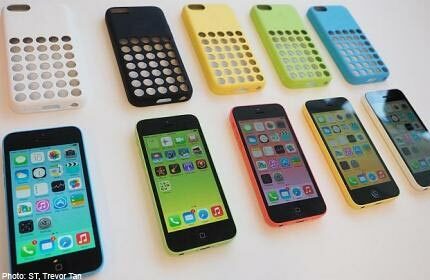 One key question is whether Apple will also sell its cheaper iPhone 5C in more mature markets like Europe or the United States, heightening the risk that it will begin cannibalizing sales of the flagship 5S. 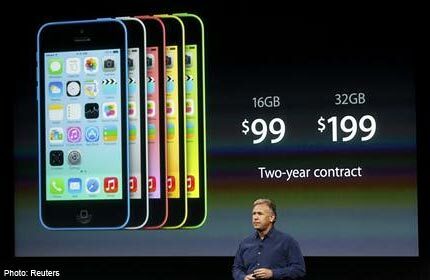 Globally, the market for cheaper smartphones priced around US$300 - the iPhone 5 now starts at US$649 without a contract - may grow to 900 million units by 2015, Bernstein Research analyst Toni Sacconaghi estimated. 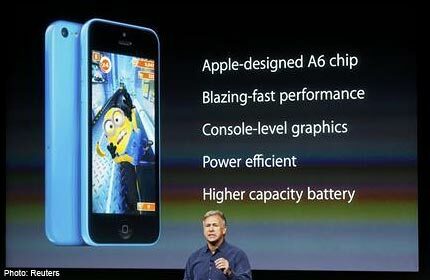 Assuming Apple manages to capture just 10 per cent of that market, the 5C would bring in revenue of US$30 billion annually. 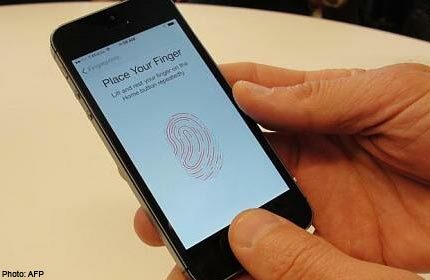 "The only real potential to surprise investors (on Tuesday) seems to be in the scope and velocity of a new China strategy, and any new features within iOS 7 and fingerprint scanner technology," said Barclays analyst Ben Reitzes. "Since it missed the trend toward larger screened phones and seems poised for only incremental iPad improvements, we believe that Apple needs to prove it can innovate in software and services."